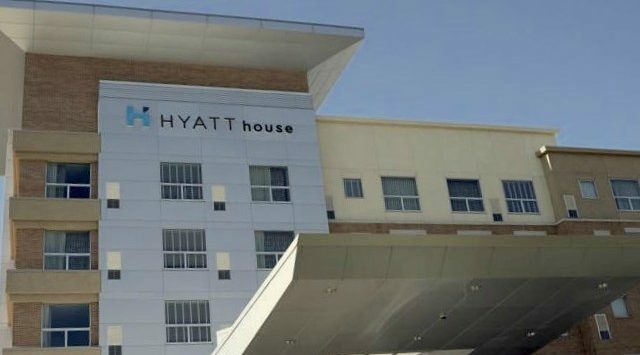 Ever since Hyatt lost the Hyatt Regency Irvine to the Irvine Company in 2014, Hyatt has had a void of a corporate-style hotel in the Irvine/John Wayne airport area. 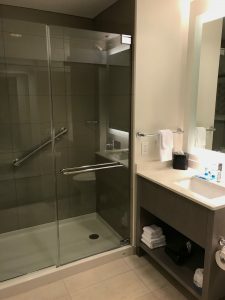 Since then, the closest Hyatt was the Hyatt Regency Newport Beach which is much more of a resort-style hotel than what business travelers have a need for. The new Hyatt House Irvine was slated to open in January 2018, but it opened about 2 weeks before the New Year – just in time for Christmas! The Hyatt House has 149 rooms & suites, and offers a lot of the same amenities that a business-centric hotel has, including laundry services. It also has the same amenities you would expect at a hotel like free wi-fi, pool and fitness room. This was my first stay at a Hyatt House but I was looking forward to seeing what it offered. I’ve stayed at a Homewood Suites (by Hilton) before, and was expecting a Hyatt House to be roughly the same. I was only there for one night so I could get some work done without any distractions. I was a little disappointed that the room I got was the exact room I paid for and on the first floor. That was certainly something that I wasn’t used to as a Globalist! The room, however, lacked a kitchenette. At most hotels that focus on this market, there’s a kitchenette, if not a full kitchen. The larger Hyatt House rooms have one, judging by pictures I’ve seen. I’ve stayed at a Homewood Suites (a Hilton brand) that not only had a full kitchen, but also offered grocery service. It amazes me that Hyatt doesn’t have a brand that competes with that! 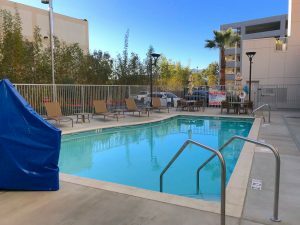 This Hyatt House is a category 2 property; which makes it the only category 2 Hyatt in Southern Orange County, California. The only other one, in the Greater Orange County/Los Angeles area, is a Hyatt House near Los Alamitos. 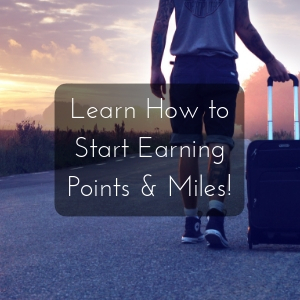 A category 2 hotel costs 8,000 points, or 4,000 points + $55 on a points & cash rate. Points & cash availability is up to the hotel to have inventory. 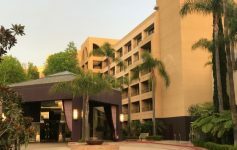 Hyatt recently announced that award stays count towards elite status, which makes it a fairly cheap way to get World of Hyatt Globalist in Southern California! 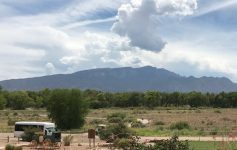 Previously, the reservation needed a cash portion to count towards status so that is a big improvement. Wait, What About The Carlton? No, not THAT Carlton! Hyatt recently re-flagged a hotel that was previously a Radisson, and is now called The Carlton. It is in the same general area as the Hyatt House, but it was pretty dumpy so I hopefully Hyatt renovates it. However, that property is across the street from the airport and a higher award category. The Hyatt House is a bit further from the airport so it is much quieter! 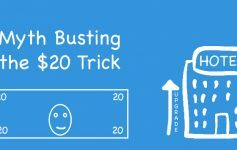 The trade off is that parking is free at the Carlton, whereas self-parking is $16, and valet is $20, at the Hyatt House. A quick look at hotel rates showed that both hotels were about the same using an all cash rate, but the difference in the cost of award stays might make up for the parking cost. Honestly, there really isn’t much to say about the room. The room was a lot like any other basic hotel room, but had a very modern decor. I believe I was the first one to stay in the room I was given. I’ve never seen a stainless steel appliance as spotless as the microwave was! King Bed with Chaise and desk. Can you spot the hidden “Hyatt”? Despite the room being basic, it was very comfortable. I was surprised that everywhere I sat, including the bed, were as enjoyable as the others. It was as if Goldilocks picked out the desk chair, chaise and bed herself! I was happy to see that the room did not lack USB charging ports. They are much rarer than they should be, but hotels have been slow to furnish rooms them. Since the Hyatt House is such a new hotel, this is not very surprising. It was, however, disappointing that there wasn’t a bedside lamp or light switch. 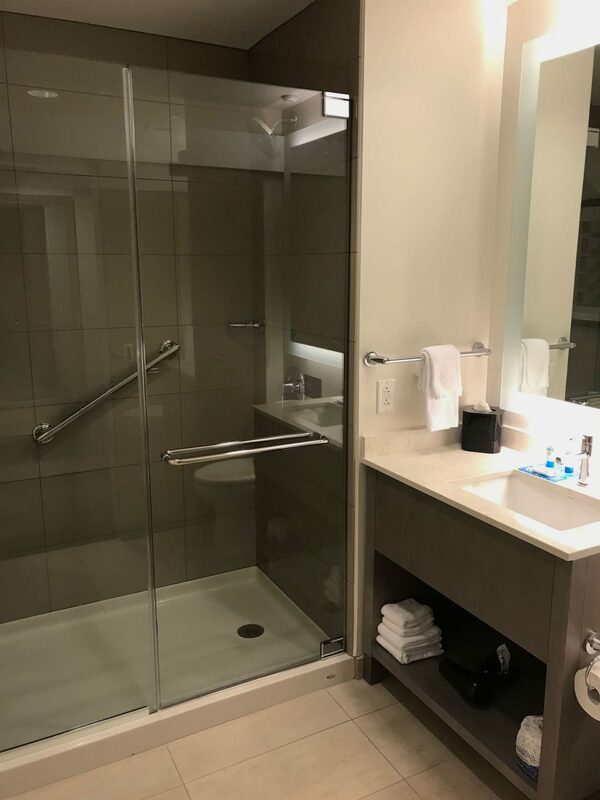 Guests would have to turn the lights off from the switch near the entry which is far from convenient. Let me be frank here. I’m not a fan of breakfast at budget hotels. They are typically very limited in what is offered. Scrambled eggs usually taste like they’re powdered and have a consistency that is far from desirable to me. That being said, the Hyatt house Irvine offers made-to-order omelets so I didn’t have to look at the scrambled “eggs”. The omelette menu has an omelette of the day as well as a build your own option. The omelets are made and served to you so you don’t have to wait in line. I gladly took that time to start waking up with a cup of hot coffee. I was looking forward to my ham and cheese omelette. What seemed like 10-15 minutes later, it arrived on a plate that was at the most 5” by 5”. This was not your 3 egg omelette! At least the bacon was hot and crispy. 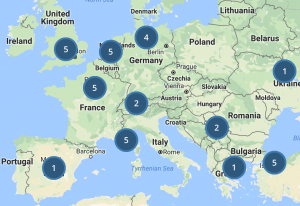 Hyatt has the fewest properties of all of the hotel chains, with under 740 properties in 57 countries. It is always nice to see them add more. I do wish that they would add, or accrue, properties in countries where they are thin – such as Europe where Hyatt just opened its first hotel in Spain. Having a nearby category 2 hotel is great! It might be a good way to earn a few more nights late in the year to get Globalist status, if I needed it. 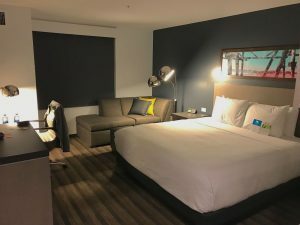 The Hyatt House Irvine is comfortable and new enough where I might recommend it to someone if they were visiting – especially if they were using points for their stay! I’m not going to rate this hotel with my usual 5-star scale. It is too new to be able to ding it for any issues, except for the service speed at breakfast (but that would be a stretch). Even the staff were welcoming and very excited that the hotel was open. 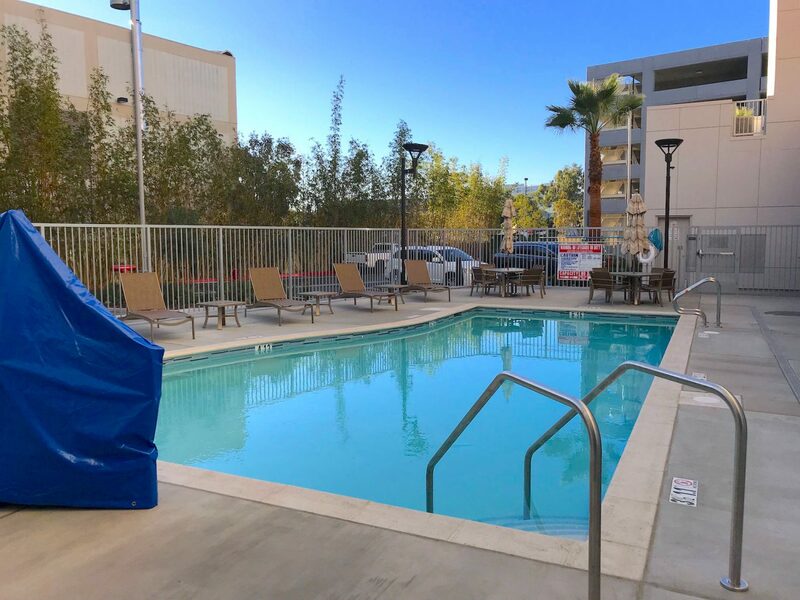 Click Here for the Latest Rates at the Hyatt House Irvine/John Wayne Airport!